WHEN the new academic term began a few months ago we were subjected to the occasional round of ‘padding’ – a lecturer, who had seemingly not prepared sufficient material for the first lesson, allowed the students to dissipate a considerable amount of time by discoursing at some length upon the intimate details of their lives. This was ostensibly undertaken in order for us to “get to know one another better”. This is the sort of exercise that usually makes any Dominican groan inwardly, or even audibly. In fact, when this activity was first proposed I happened to catch a glimpse of one of my confrères sitting across the room – he rolled his eyes so far back into his head that it almost looked as though he were having a seizure. However, on this occasion the subject matter of our individual disquisitions was not restricted to our place of birth and favourite flavour of ice-cream – the lecturer asked that we answer an additional question which actually proved rather interesting. The answers were thought-provoking; not in their originality or content, but in their uniformity. This was a class-room full of seminarians, religious and theologically-interested lay people and their answers to that particular question were almost all the same. Grandparents – almost everyone in the room relayed a story about the transmission of the faith that involved not their parents, not their friends, not their primary-school religious education teacher, but their grandparents. I was no different – it was my grandmother who first taught me how to pray. When I was five years old there was a short period during which both of my parents were travelling; for those few short weeks, my sister and I both stayed with my grandparents and during that time I was taught to pray. I still have vivid memories of Nana showing me how to kneel at my bedside before going to sleep; how to make the sign of the cross and conclude our prayers with an “Amen”. It turns out, I am not alone – in fact, I am the standard of our day and age. Grandparents are transmitting the faith to the newest generation; the faith that their own children often failed to pick up. In a Church that often seems at a loss when it comes to questions of communicating the faith to the next generation, it almost looks as if an overwhelming piece of good news has quietly passed us by. 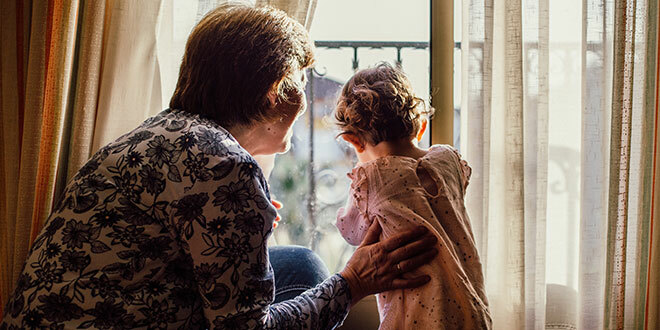 It appears that grandparents, through their simple – yet profound – witness of faith-filled lives and loves have proved the greatest evangelists of our society and age. You may think I am drawing a rather large conclusion from a rather small sample of thirty-five Catholic students in a systematic theology class. Yet the overwhelming uniformity of the response to that question – “Who told you about God?” – presents an inescapably startling picture. Although faith is of course a gift from God, it is one that generally requires human agents in order for it to be conveyed; people learn about our heavenly Father, Jesus Christ, the Holy Spirit, Catholicism, the Church and prayer from other people. And if we occasionally find ourselves reluctant to make the effort to pass on the faith, we are – frankly – derelict in our duties. Consider this: if a boy or a girl were the unwitting heir to an inestimable fortune, and all it took to receive the inheritance was a simple acknowledgement of the gift, would we not consider it a monstrous crime if the relevant trustees of the wealth did not inform the children of this fact? Would we not feel justified in condemning the selfish actions of the trustees who would continue to derive their own benefit from the deposit, but who essentially refused to extend the infinite riches to anyone else? Yet that is what we are occasionally attempted to do with regard to the greatest gift we have each inherited – the faith. I have witnessed grandparents bring their grandchildren to Mass, only to permit the representatives of the younger generation to fritter-away their time within the sacred space; they were engaged in playing some sort of hand-held electronic device throughout the celebration. Not a word was uttered nor a gesture made to indicate that perhaps kneeling, singing or the occasional prayerful look of attention might be warranted. I understand that shaking fingers and stern looks are generally ill-suited in any attempt to draw people – particularly children – to a state of reverence and love of God. However, there is a limit to how “tolerant” we ought to be. If we truly love our families, our children and grandchildren, then we are obliged in charity to do our utmost to draw them to the love of God. And, given the testimony I heard in my systematic theology class, it would seem that a great many grandparents are living exemplars of this virtuous transmission of the faith. Yet if our own efforts in this regard, upon rigorous reflection, warrant the characterisation “lackadaisical”, we can hardly comfort ourselves with the idea that we are exercising ‘tolerance’ with regard to the freedom and choices of other people. Tolerance ought not be confused with indifference. After all, if we seem reluctant to convey the faith, would those around us not be justified in feeling that we do not actually believe that faith to be as important as we might otherwise claim? We are also unable to take solace in the notion that the love of God or even the basic elements of Christianity will be conveyed to the next generation through the medium of education. I know a number of people who went to prestigious “Catholic” schools. They know a great deal about Buddhism. They would struggle to utter so much as a cogent thought regarding Christianity. In light of those facts, I would encourage all of us – particularly those who are grandparents – to look for opportunities to further convey the faith that was handed on to us. If you are called upon by busy relatives to look after their nearest and dearest – your nephews, nieces or grandchildren – it might be worth seeing that as a God-given opportunity. Having turned off the television and gathered in the rich, still silence that is so often absent from modern life, eager young ears might for the first time become attuned to the prayerful cadence of the rosary. 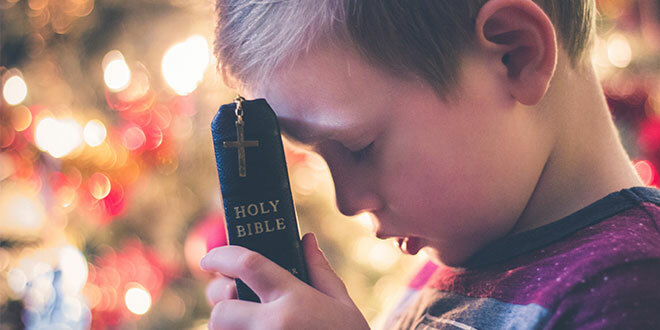 Perhaps it might even be an idea to begin your foray into the realm of catechetics by asking your little flock what they think of God – in my experience, children are far more perspicacious than is often maintained. In my talks to school-aged children, their questions are usually far more challenging than those of their teachers; a sense of wonderment at the world seems to be a natural entrée into the realm of faith. Moreover, aside from imparting the precious gift that we have ourselves inherited, in doing our utmost to convey the faith we are actually undertaking a great service for our society. Our legal structures and norms are grounded in the Christian faith; this is a fact. Yet once the underlying metaphysical assumptions that come with Christianity are no longer as pervasive as they once were, we will start to find many of our assumptions about the ordinary functioning of society challenged in unpredictable ways. As has been pointed out by Bradley Gregory, the continual refrain of our chattering classes concerning “human rights” inherently depends upon the – completely unacknowledged – belief that every human being is created in the image and likeness of God; that each man, woman and child possesses an immortal soul with God as its object; that each person lives a life imbued with eternal significance, following a trajectory that arcs far beyond the horizon of this earthly life. The dignity of the human person is founded upon the fact that our immaterial, immortal soul has a God-given capacity to know and love the infinite. We do not have to look very far to see an increasingly urgent push from some quarters for legal amendments that clearly manifest an absence of an awareness – let alone belief – in the presence of God or the existence of the soul. The notion of passing on the faith ought now to resound with an even greater urgency within your minds. Let us take those few phrases as an added incentive to take up our allotted task of reminding our forgetful brothers and sisters – nieces, nephews, grandchildren – of God. We will likely remind them most forcefully, of course, by our virtuous lives of faith hope and charity; by our actions which hopefully to go some way towards revealing the eternal love of God. Rather than allowing this column to pass as a pleasing panegyric to the prodigious performance of grandparents who have handed on the faith, let us take it as an opportunity to honestly examine our own efforts in that regard.